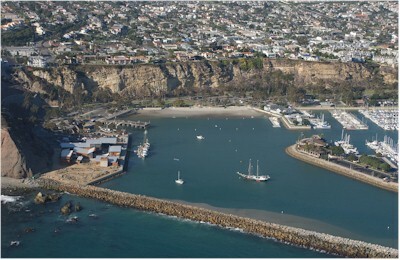 We've been doing some studies on stormwater pollution at this beach in Dana Point Harbor, which is a little north of here. Stormwater flows, untreated, from neighborhood streets into the bay. We've been looking at data from sediments and water near the outflows to see if we can identify the sources of the bacteria. Unfortunately, I haven't had to travel here yet, but I do get to play with all the data from the studies.